Not-for-profit organizations today need innovative practices to spread core messages to potential donors, while keeping costs in check and reaching as wide an audience as possible. With its continued growth and success, businesses and organizations are now incorporating social media into their long-term marketing initiatives. 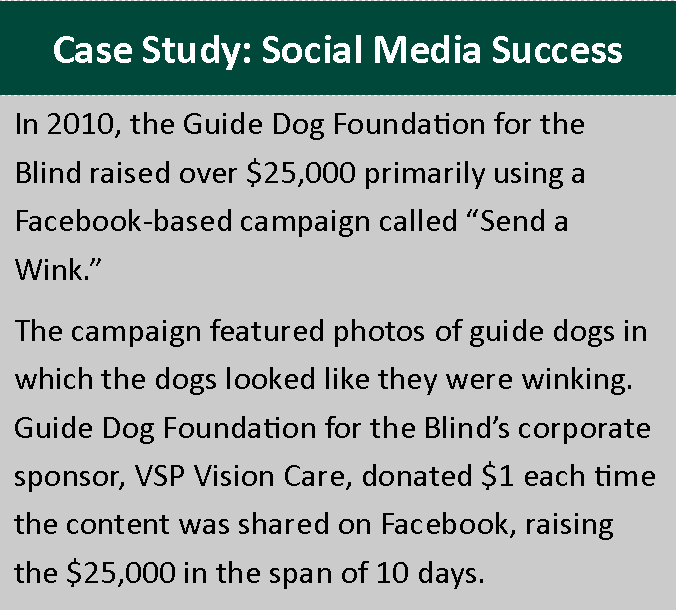 Not-for-profits are using social media to broadcast their story and mission, increase awareness and share success stories to a large scale community at a minimal cost.